Paprika is a mild but flavorful spice that's more than just a garnish for deviled eggs. Paprika is a pungent addition to any dish, and Americans are only just learning what many Europeans already know about the prince of mild peppers. Why Doesn't my Paprika Have any Flavor? Often seen as a garnish for foods that are served chilled, like deviled eggs and mayonnaise-based salads, it isn't surprising that in the West paprika has a reputation for being tasteless. The secret to unlocking its complex flavor is in heating it. Added at the end of the cooking cycle, paprika will release a deep, sweet, earthy taste to meats and vegetables. Although exposure to high heat, like that used in sautéing, will destroy the flavor, moderate heat will liberate the flavor of this under-appreciated spice. As a side note to paprika's flavorful qualities, it is often a basic ingredient in Spanish and Portuguese chorizo, a spicy pork sausage. 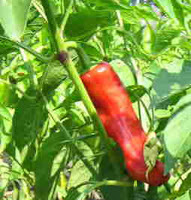 Paprika is a pepper in the nightshade family (capsicum annuum). It was introduced to southeastern Europe in the mid 1500's and quickly spread throughout Hungary, becoming a favorite there. Mildly flavored for a pepper, paprika lacks the high concentrations of capsaicins found in other peppers, keeping its flavor robust, but eliminating much of the heat. It's one of those guilty pleasures that's as easy on your stomach as it is flavorful. Counter to what you'd expect, the hotter a paprika happens to be, the less red it will be. By far the hottest paprikas are brown to yellow in color, and coloration is a great way to distinguish powdered paprika varieties. Hungarian paprika is reputed to be the sweetest, but again, the color is a good indicator of flavor when cooked. Paprika is grown in the garden much like other peppers, using well-drained, fertile soil in a sunny location. Peppers are very susceptible to frost damage, so be sure to put them out in the spring after all danger of frost has passed. Your Cooperative Extension Office can give you additional information on the expected frost free date for your area. Start peppers outdoors from seed in zones 6 and higher. For colder climates, start seeds indoors or purchase seedlings. Peppers are very easy to grow from seed. The longer narrow paprika varieties are commonly considered the Hungarian paprikas, while the shorter more compact varieties are considered Spanish. 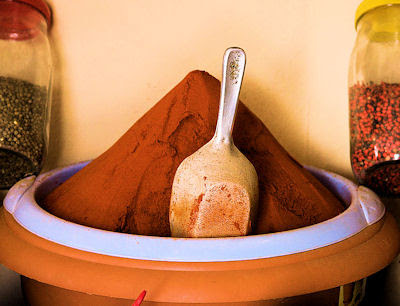 A great variety is the Kalosca, a thin walled, sweet paprika that is easily dried and ground. If you'd like to make your own dried paprika, this is the pepper to plant this spring. Paprika is a great addition to your diet. Naturally high in vitamin C, it has also shown promise in helping regulate blood pressure. The next time you head for the spice rack, consider adding paprika to your stews and soups, or plan on making a paprika encrusted shrimp or potato paprikash. Paprika is a sleeper -- one of those spices that has a a great deal to offer with almost no potential downside. Give it a try. It is my favorite spice! I grew my paprikas and they simply did not turn red. I waited and waited! zone 7, well drained soil. Last year we had a nice amount a red peppers. This summer...all green. ANY advice at all? Light may be the problem. Peppers love lots of bright light and long, warm days. Next season, try planting out paprika peppers as early in spring as possible and choose the sunniest location in your garden.